"Hang On Sloopy" is a 1964 song by Wes Farrell and Bert Russell, originally titled "My Girl Sloopy". It was first recorded by The Vibrations in 1964, for Atlantic Records (45-2222), becoming a top-30 hit. 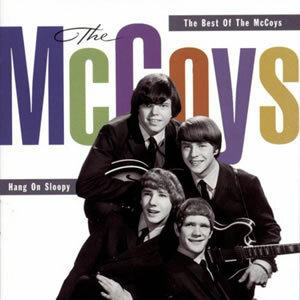 As recorded by the pop group The McCoys, "Hang On Sloopy" went to #1 in the United States in October 1965. Written by songwriter Bert Berns, this song was originally recorded by the R&B group The Vibrations as "My Girl Sloopy" in 1964, reaching #26 on the US charts. The name "Sloopy" most likely came from Dorothy Sloop, who was a Jazz singer from Steubenville, Ohio. She performed in the New Orleans area using the name "Sloopy."